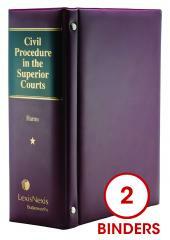 Civil Practice in the Magistrate's Courts: The Practitioner's Manual is a complete procedural manual on Magistrate's Court civil law for legal practitioners. 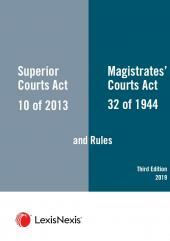 Civil Practice in the Magistrate's Courts: The Practitioner's Manual is a simplified exposition of practice and procedure, with special emphasis on the new rules. Civil Practice in the Magistrate's Courts: The Practitioner's Manual may also be used as a compact and detailed study guide on Magistrate’s Court procedure for candidate attorneys and law students in preparation for examinations. Good day Mr Smith. Thank you for the book that I have received from you. It is very special to me as it comes at a time when I need it the most and it has been personally signed by the author himself. I took it along with me to one of my Practical Legal Training classes and my group members were very impressed with it! May I congratulate you sir on a well written book. 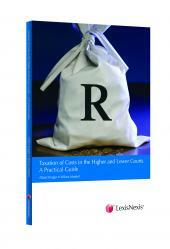 The book itself is evidence of your commitment to the legal field. Thank you once again.